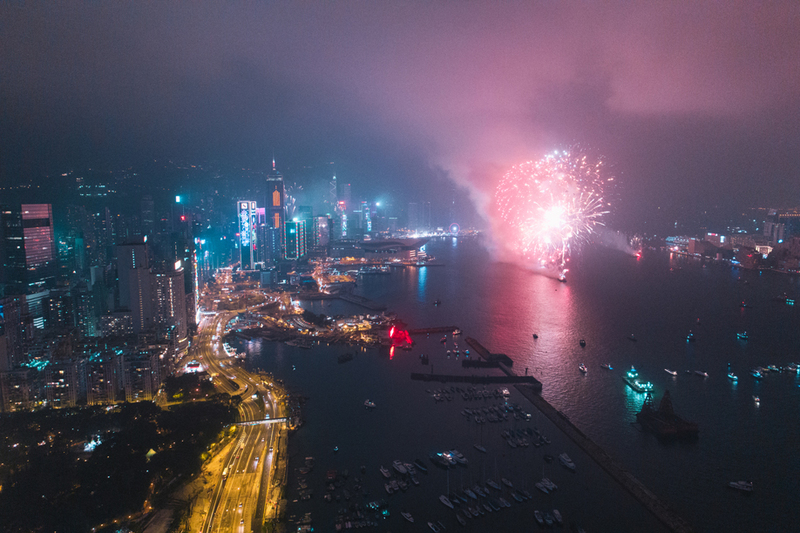 Find the best location to capture fireworks. Night photography always looks better when it’s set at low ISO to eradicate noise. When the ISO is low, you usually end up using a long shutter speed so as to let enough light enter the camera. It is very important to make sure that there are no movements, when the lens is capturing the shot. Not only is tripod a must, you should be using a timer or remote trigger as well. Without a timer or remote trigger, the camera might shake a little when you press the shutter button manually. I also use manual focus as some cameras have a hard time focusing at night. With manual control, you have a better grasp on your shot or the end result. Preparation is key in shooting fireworks, since the shows are often quite short in terms of time. Make sure you have all the right settings set, and do enough tests before the show starts. One thing to note that is during test shots, the sky tends to be darker. But once the fireworks start, it lights up the sky and your photos may end up being over exposed. So the first few seconds of the fireworks are crucial to a perfect capture. Try to use the initial seconds to find out the best settings and then stick to one for the rest of the show. First few minutes are most important – least smoke. 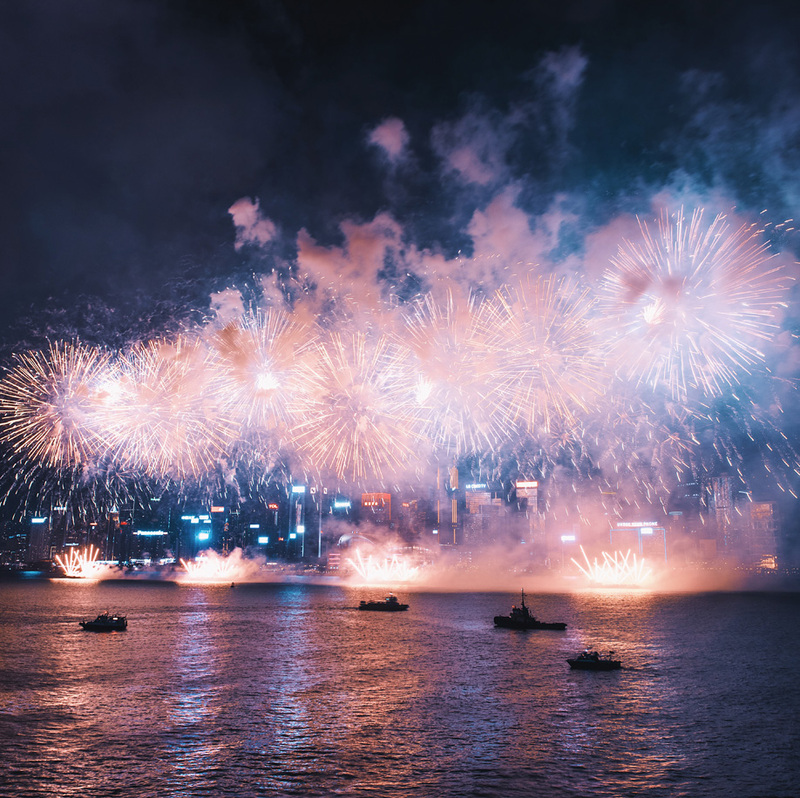 While the first few seconds is a good time to fiddle around with settings and settle onto one, it also is the grace period where the fireworks display is not engulfed by smoke. 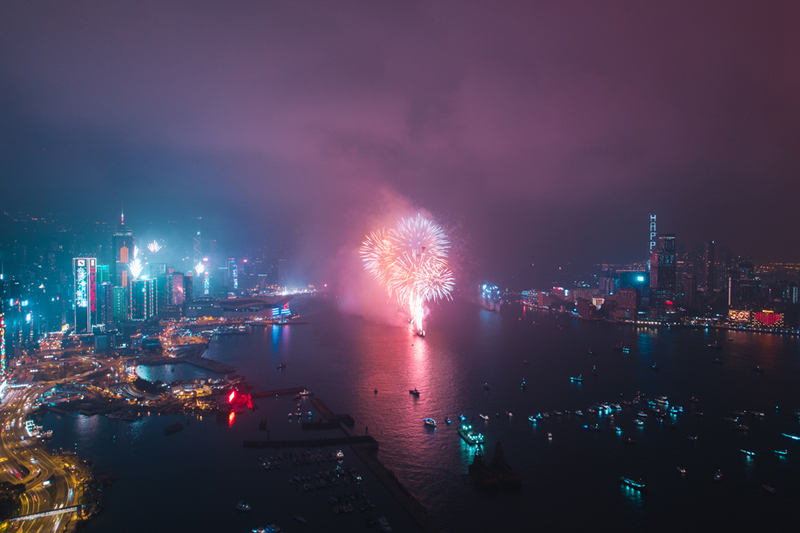 In my experience of shooting fireworks in Hong Kong, the smoke tends to be trapped between the harbour which creates this fuzzy overlay on the fireworks. Sometimes it looks cool, but most of the time it just adds a grey layer of ‘haze’, and can be annoying to clean up during editing. So grab hold of the first few minutes of the fireworks when the sky is still clear, to ensure clean and sharp shots. Below is a shot taken towards the end of the firework show, where smoke is quite apparent. Hope you’ve enjoyed reading tips on how to shoot fireworks. 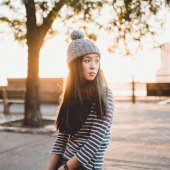 Be sure to follow more of my work on Instagram www.instagram.com/lielaine!